The FLH Exterior Wall Bracket Light (shown with Yoke Mount), features a die-cast aluminum housing and integral hinging feature for ease of maintenance. 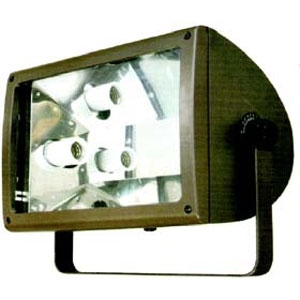 Ideal for buildings, parks, signage, sports field, parking areas where general floodlighting is desired. This unit features tempered glass for maximum light distribution. 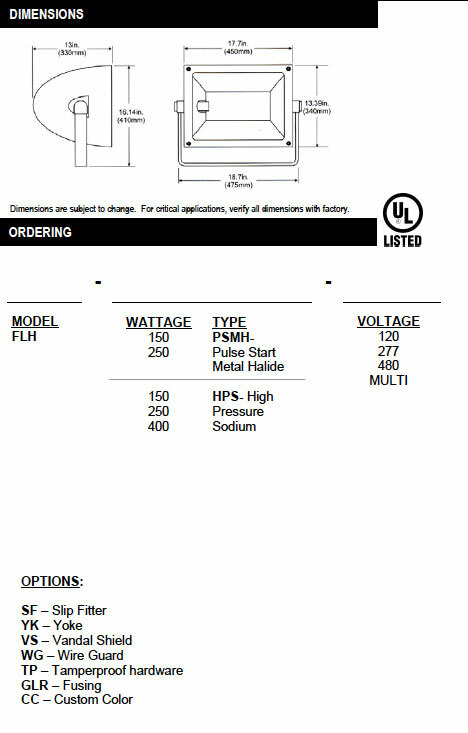 An optional polycarbonate shield or wire guard for vandalproof protection is available. Anodized aluminum reflector designed in conjunction with diffuser for maximum efficiency. Heavy duty adjustable yoke for excellent aiming capabilities. Baked on premium architectural bronze for maximum durability. Optional white or Custom Color.